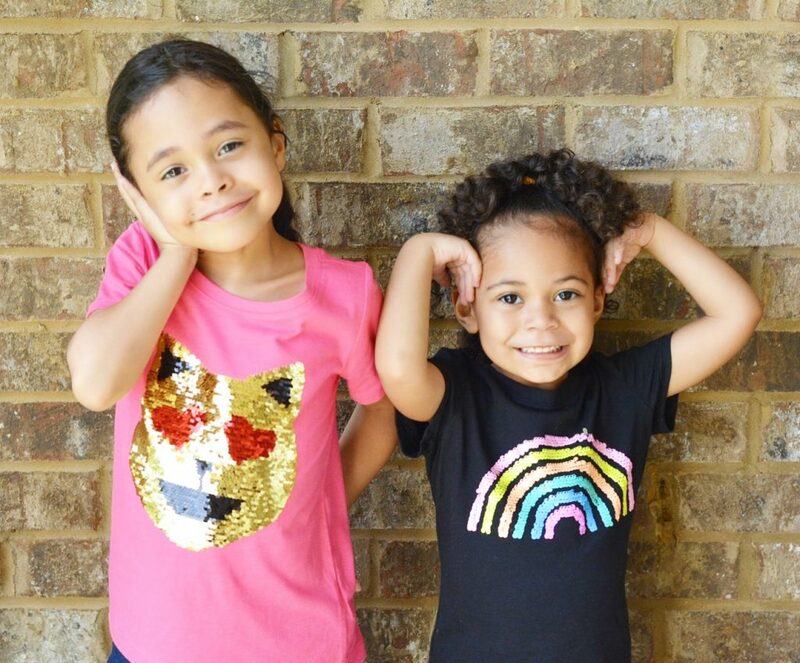 I like shopping for my girls at OshKosh B’gosh because of their affordability and age appropriate clothing. I am not in a rush for my daughters to grow up, but I recognize their desire to make their own fashion choices. I feel comfortable with them doing so at OshKosh and love that this year’s #beyourself campaign is encouraging them to embrace who they are with their own personal style! does a great job of providing items that can be easily mixed and matched. This helps keeps the wardrobe fresh, and their clothes are durable which is fantastic for my very active 6 yo. She is all about wearing pieces she can move in, and with the addition of P.E. this year it’s nice for her to have cute and functional options. Back to school shopping with my oldest is becoming one of my favorite traditions. I get to see more of her personality come out while we spend quality time together and learn more about what makes her uniquely special. While I always emphasize that what’s inside always matters more than what’s on the outside, it makes me proud to see her blossom as she’s coming into her own. 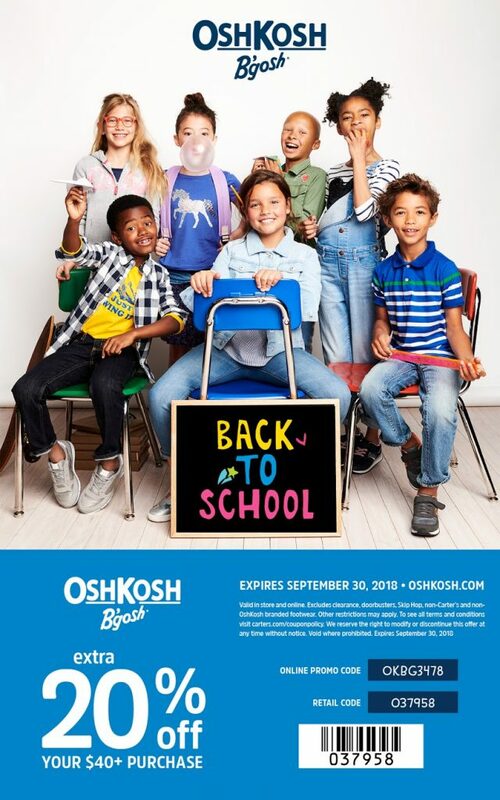 OshKosh B’gosh also gives back to local communities with The B’gosh Jeanius Campaign which runs thru September 12th. You can read more about how to donate here or find out details when you visit your local store! I’m glad we got our shopping done, and there’s still time for you to shop with some major savings! Have a fabulous week and always be yourself!! Love this post! Empowering our little ladies is one of the hardest and most rewarding things we can do. Great post! And I LOVE OshKosh B’gosh! 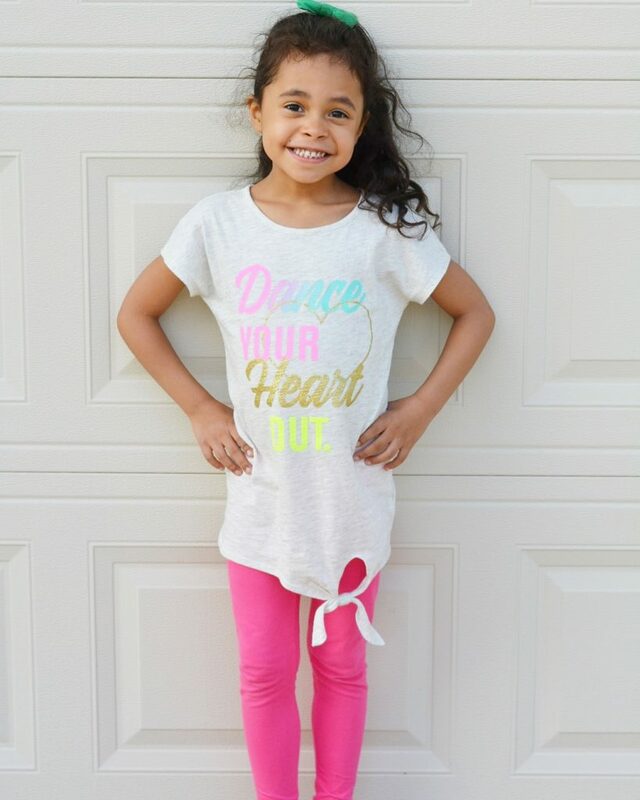 Such cute (age appropriate) clothes! Thanks Jamie! 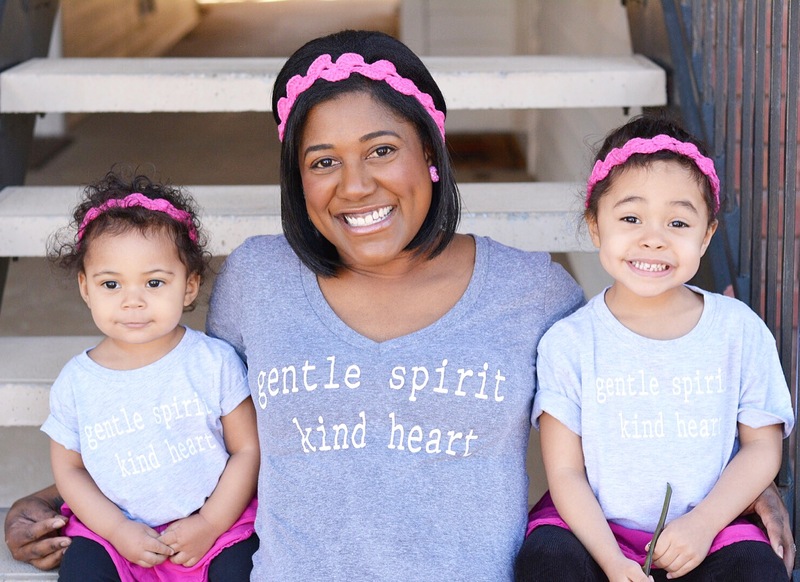 I am now the mom to 3 girls so I’m learning more each day as to how to build them up!! I think this is a good start! Being originally fro. Wisconsin, we love Oshkosh! Love their jeans, especially overalls. I mean what kind doesn’t look adorable in a pair of denim overalls! 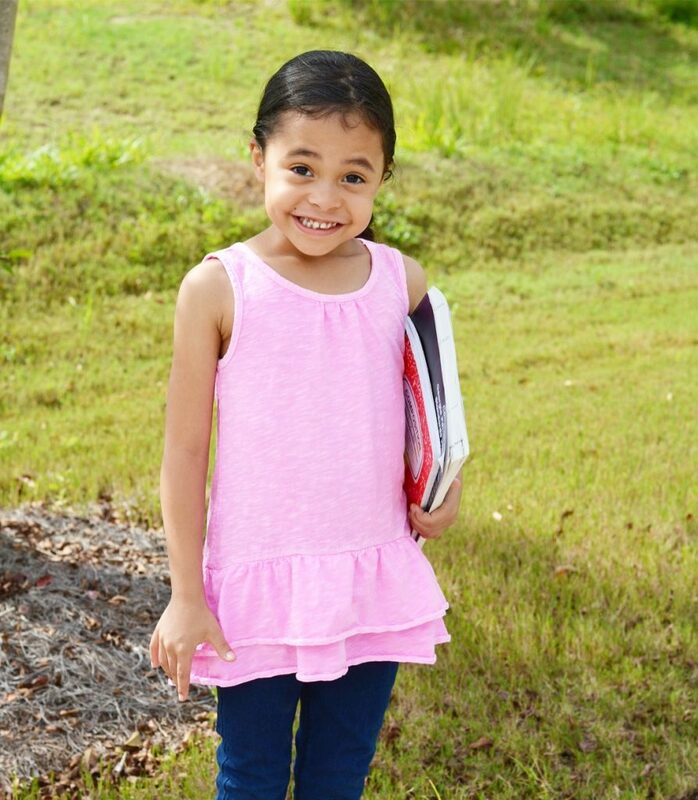 Encouraging our girls to make sensible clothing choices now will help them make sensible clothing choices in the future! Great post! I agree Rachel!! Thank you so much!! They definitely have a better wardrobe than I do!! These are all great outfits! 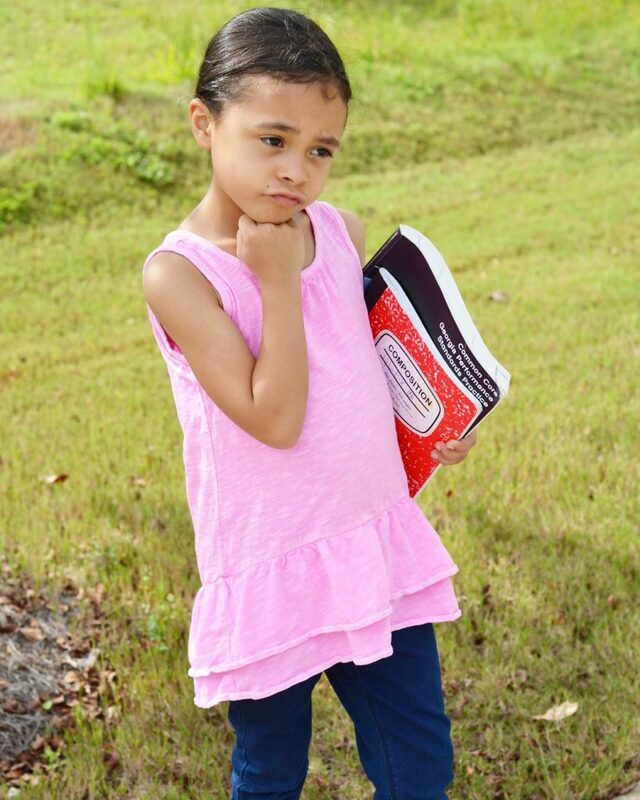 I love that you are encouraging your daughter to be herself and express her individuality. I’ll have to check out these clothes for my kids as well. They have many great options for kids!! Love your family. You guys have a sweet recipe making girls! Thank you so much Diane!!!! Boost girls’ confidence. Just this morning I stood in front of the mirror with my daughter and asked her to describe the person she sees. I asked what she thinks her strength is, her goals and ehat it’s going to take to get her there. Her confident answers surprised me and filled me with pride! 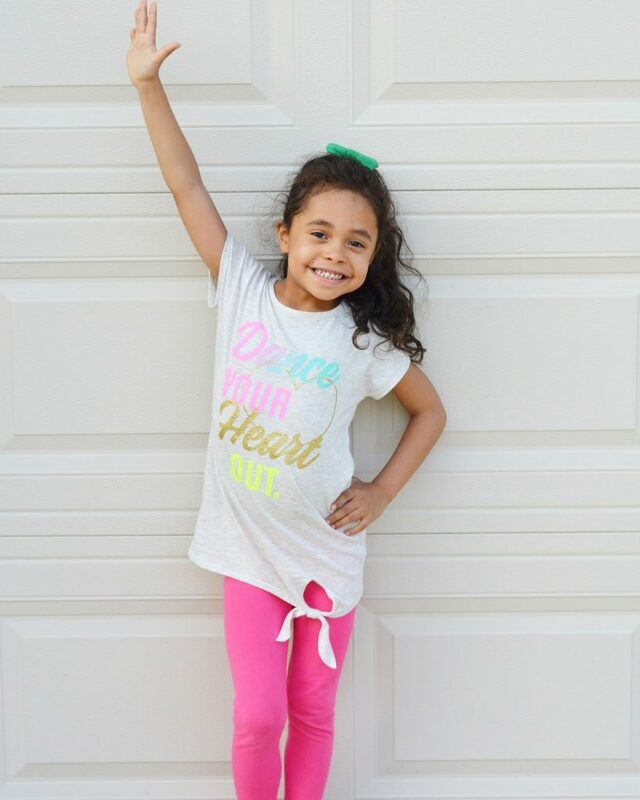 While we can’t shop at Osh Kosh much anymore (my little “lady” has outgrown most of their big sizes) it is wonderful that they offer age appropriate styles. I absolutely love this idea Jennifer and will incorporate it with my girls too!! Your daughters are growing into such lovely ladies! I admire that you allow them the freedom to express themselves while ensuring that they remain age appropriate; it seems so many people are in a rush to have their children grow. My favorite thing from OshKosh is their denim. It always hold up through my boys wild tumbling antics. Thank you so much Aimee!! I’m trying my best to navigate things and taking it day by day. I love their denim too btw!! I like their winter jackets and snow pants. It’s still so warm here I forget about their great winter selection!! My son is loving anything and everything of dinosaurs and like the cute saying shirts. 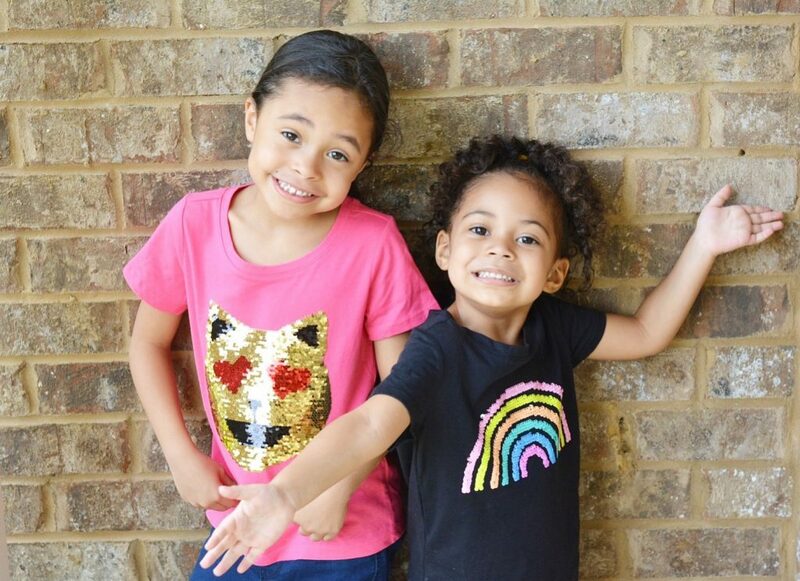 Their shirts are the cutest!! 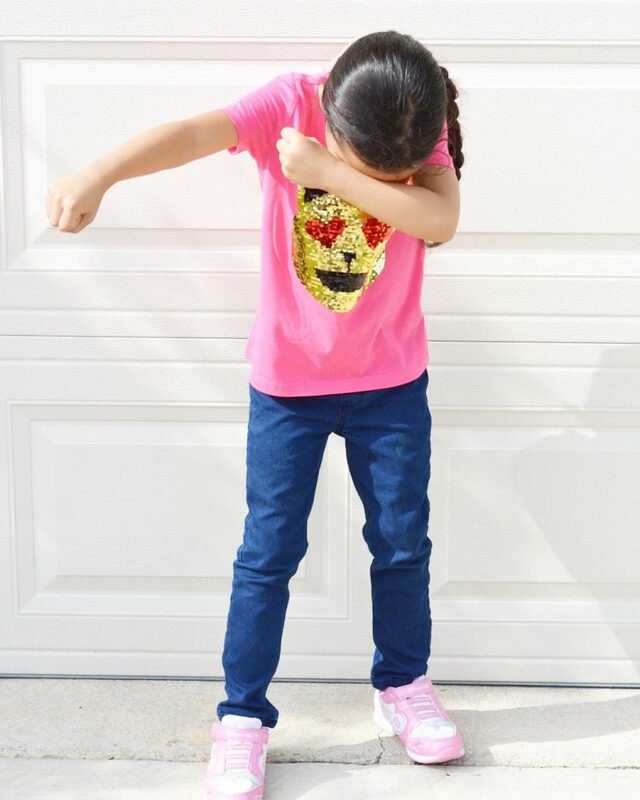 I love how clothes allow kids to express themselves! Cute outfits!! Thank you Cristina!! She really loves it! We have always liked their snow pants. I love the positive direction you’re raising your children in. And also the super cute clothes. I have a 4 year old who started preschool and it’s nerve wracking to say the least. I, too, want her to always be herself and never compare herself to others or others to herself. God bless. Thank you Nicole. 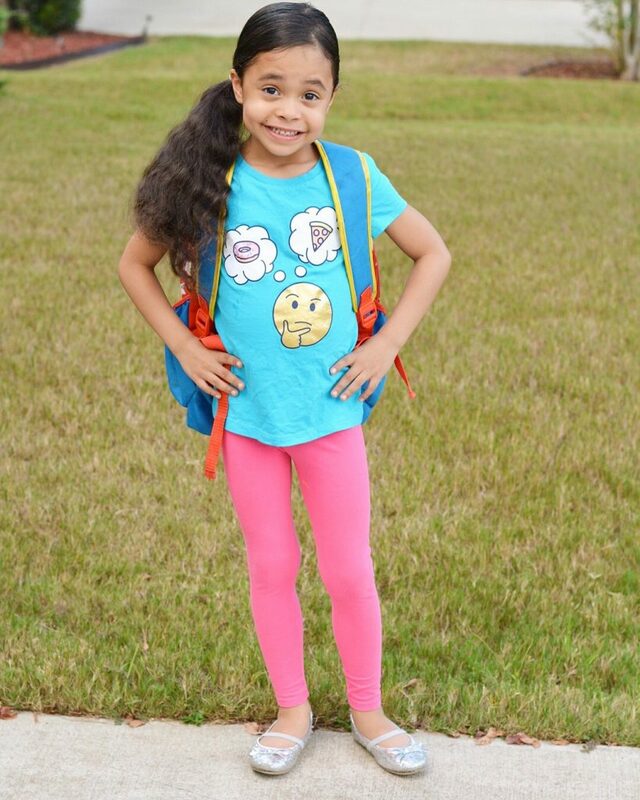 I bet your 4 yo is adorable and I’m sure she’ll thrive in school! 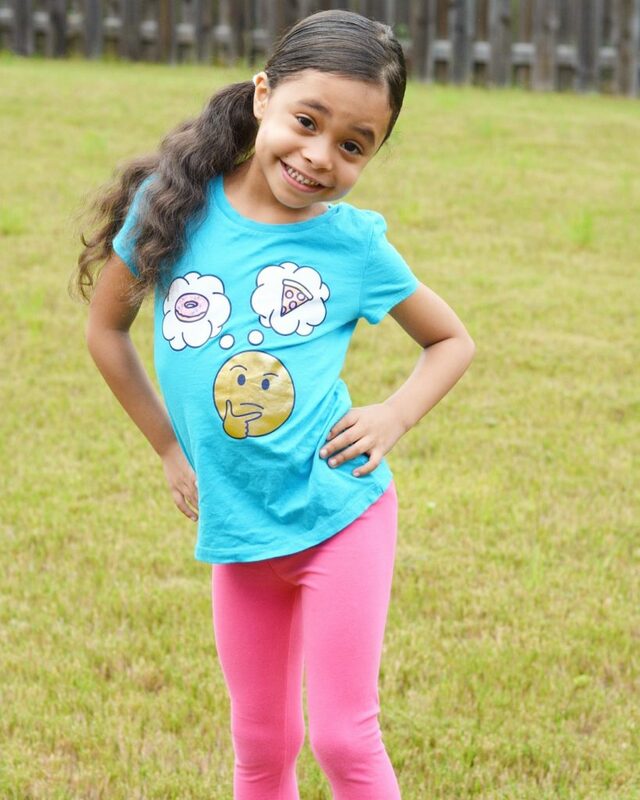 We can’t get enough of their leggings!!! 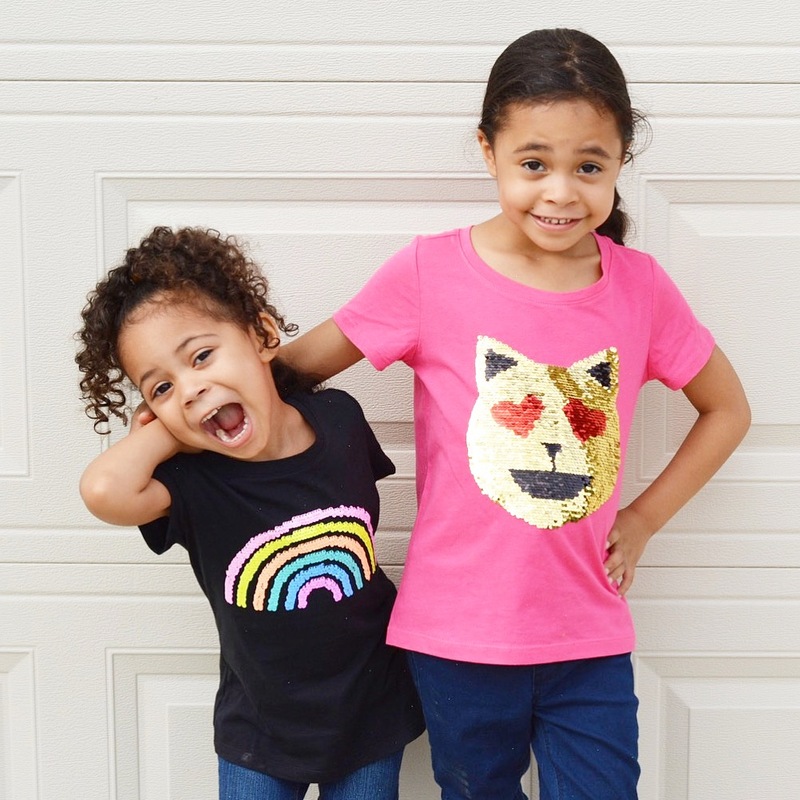 I love the girl’s graphic tees! This style is so comfy and fun. And the picture at the end made me laugh because my 7 year old son is all about the “dab” too ! She did that last pose completely on her own which I thought was hilarious!! I love their tees too! Love OshKosh! I especially love the graphic tees for my little boy. He loves picking out his own shirts and loves when he gets to wear a cool dinosaur shirt or a monster truck shirt. They have so many great graphic tee options!! I love their girls’ jeans because I don’t love to buy skinny jeans. Yes!! Their denim is great!! I love their jeans for my boys. And my middle son loved has loved their knit shorts this summer. They have such great denim and I bet those shirts work out perfectly for your son! I love the osh kosh jeans. My kiddo is tall with a very small waist. The ability to adjust the waist really helps! It’s nice that your school doesn’t require uniforms! I appreciate the individuality with clothing choices too! We have the same problem with my skinny minnie! Love that they have great denim options too! 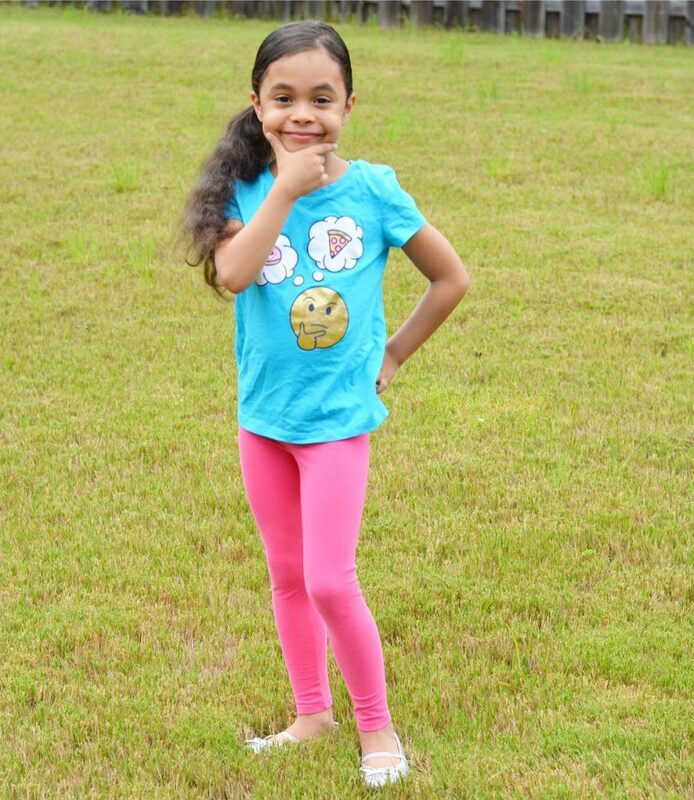 I love their jeans for my little girl that have the adjustable waist. She so needs that extra addition for jeans to fit her. I am also loving the Waterfall Tulle Dress. It is so pretty. If it were up to me I’d have my girls in all the dresses!! They sure are pretty! !